I woke up on Saturday morning before MeasureCamp and thought, oh no, I bet only 4 or 5 people will show up to my session, and I’m going to feel silly for coming all the way to London only to talk to an empty room. Thankfully, even before my session started though, my fears were eased. There was a line around the corner waiting to get into the room. 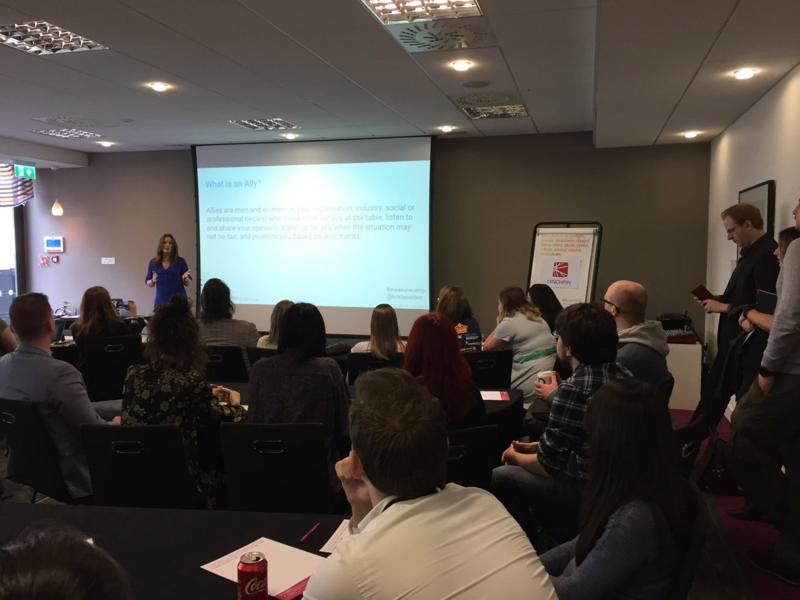 It ended up being one of the most packed MC sessions, standing room only, with about 45 people crammed into a room meant for 32 (note, the biggest session room at MeasureCamp is only 50 chairs). The crowd was diverse! 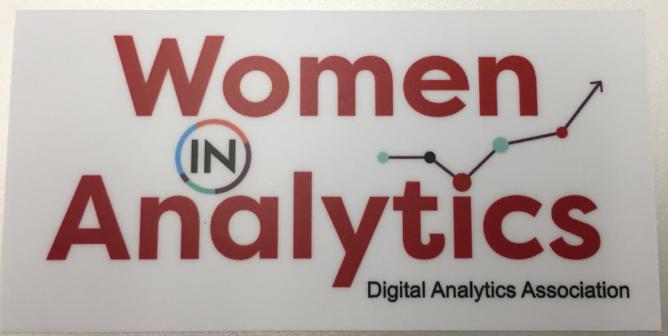 There was nearly an equal split between men and women, industry new comers and veterans, all there to talk about Women in Analytics. Simo Ahava, Craig Sullivan, Anna Lewis, Ton Wessling, and many others were there to support, participate, and learn. It warmed my heart. It’s impossible to capture all of the amazing conversations and points made throughout the discussion, but I’m going to do my best to summarize here. I started off the 30 min session with a 10 min overview on the topic as well as a few personal stories showing why I’m so passionate about this topic, and why even though we want to believe in equality in our industry we still have a long way to go. 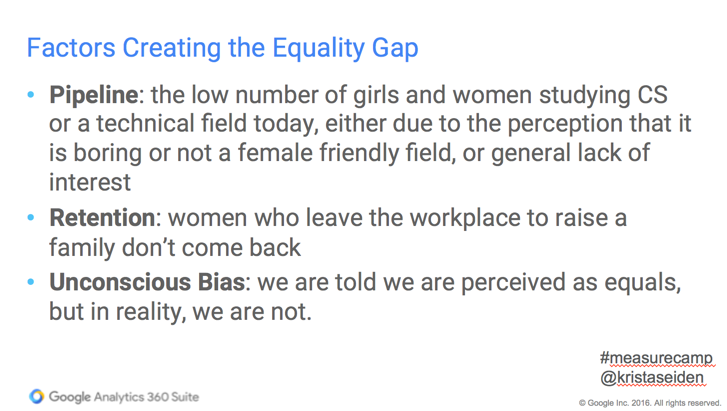 As I pointed out in this post, I think that both Pipeline and Retention are real problems and need focus, however, for me, the biggest issue is Unconscious Bias. 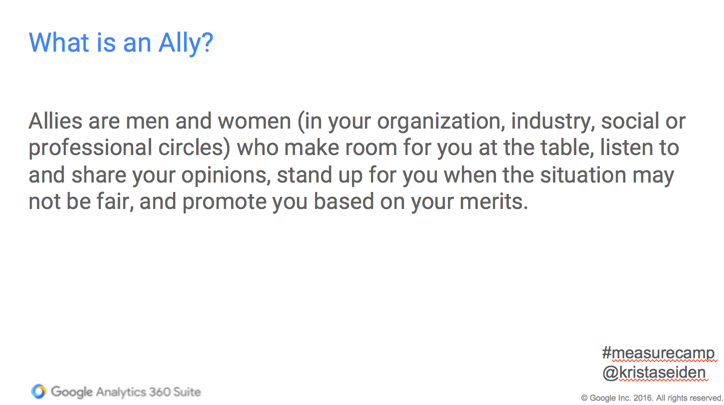 It’s the little comments such as ‘oh, I didn’t realize you could do R!’ or the times when you can’t quite make your point in a meeting because a man continually talks over you, or when your work is taken less seriously because you’re a woman. Yes, these are real things that happen every day in our industry, and we had examples of all these and more in this session. Allies are key alliances that are helping to tear down some walls, and, my hope, is that they will be a great way for us to push past a lot of the biases and inequalities we face today. I went on to give 2 examples of allies that I have come across. After chastising the audience for about 30 seconds for their bad behavior, he went right on with his talk as if nothing had happened. But something did. 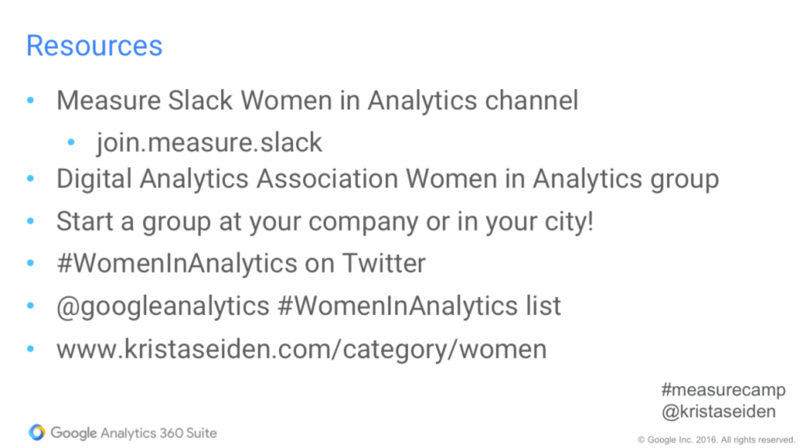 He became a vocal and public ally for me and Women in Analytics. 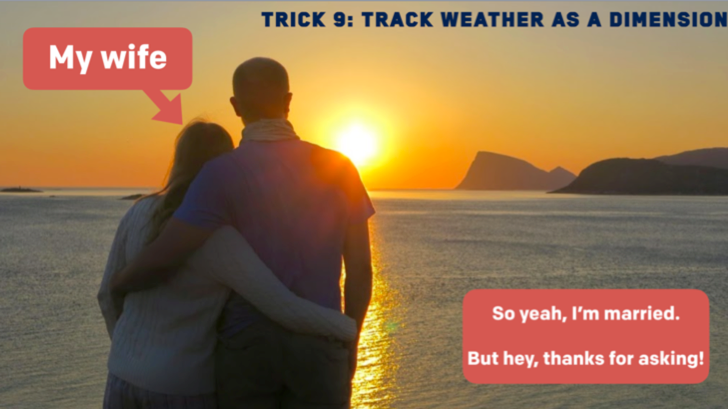 I’d also like to share that when I asked him for this particular slide to include in my talk, he happily sent it along with many words of encouragement, and signed his email “Your ally for life, Simo”. The second example I gave was of two colleagues I have recently started working closely with in my new PM role. No names here, I’m not trying to shame anyone, but it has been so clear to me through these recent interactions that some people, by default of their nature, are hard to work with, while others are amazing allies. Background and personal examples given, it was time to open this up to discussion. We had ~20 min left, so each table of ~6 (plus a standing group) discussed either some of the below topic ideas or their own thoughts on the issues our industry faces. 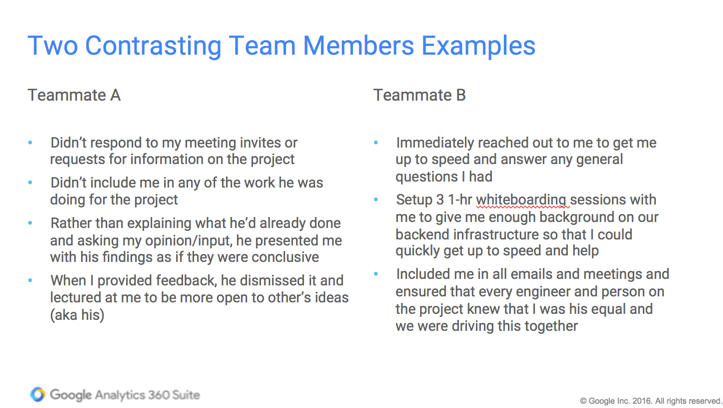 The idea was that groups would discuss for 15 min, and then we’d take the last 5 min to share the key findings from each small group with the larger room. I walked around and joined a couple minutes of discussion at (almost) every group, and I was blown away by the depth of conversations being had. 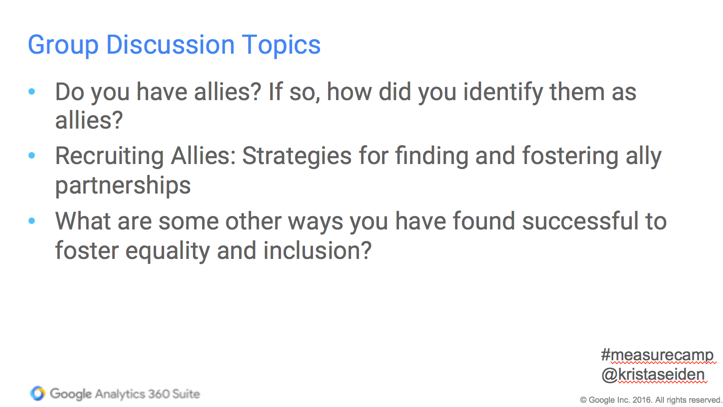 Every table had their own unique thoughts, examples, ideas for fostering and building ally partnerships, and more. It was incredibly inspiring. When we came back together to share, the conversation just kept going on and on and on. Thankfully, because the session was right before lunch, we were able to break the strict MeasureCamp session length of 30 min and went into lunch hour with an additional 15 minutes sharing. Incredibly, every single person stayed for the full 45 minutes of the conversation, even giving up their spot in the lunch queue to keep discussing. I’m going to do my best to jot down a few examples of what I heard here, but PLEASE, if you were there, add some more thoughts to the comment section because I cannot possibly capture all of the amazing points that were made! Conferences: They need to be more diligent about finding awesome female speakers. Again, it’s not cool just to have a woman speaker because she’s a woman, especially if she’s not prepared to do a good job. 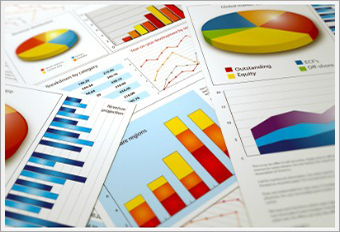 Organizers need to look harder and make a conscious effort to recruit a diverse lineup to their events. I’ve seen a few conferences in the past 1-2 years who have done a great job here, but many still have a long way to go. Holding others accountable when you see wrongdoing: One attendee mentioned that he was recently at a conference (again, in Amsterdam!) where he witnessed a man making a very inappropriate gesture towards a woman at a cocktail hour at the end of the day. He tweeted out to the conference organizers via the conference # about the incident, and the conference got in contact with him to figure out who the culprit was so they could be sure to exclude him from future events due to his inappropriate behavior. I left this session with the biggest smile on my face, and a feeling of hope for our industry. There was so much positive energy coming from those in the room, and it remained the rest of the day – every time I crossed paths with someone who had been there, I couldn’t help but smile. Thank you all for making this discussion a truly special, inspiring, and motivating session for me and all those who attended! A few more session tweets here. If you are in the Bay Area, we’ll be hosting our first MeasureCamp in San Francisco on July 22. I’m already planning to host this same session there. Looking forward to the continued discussion!